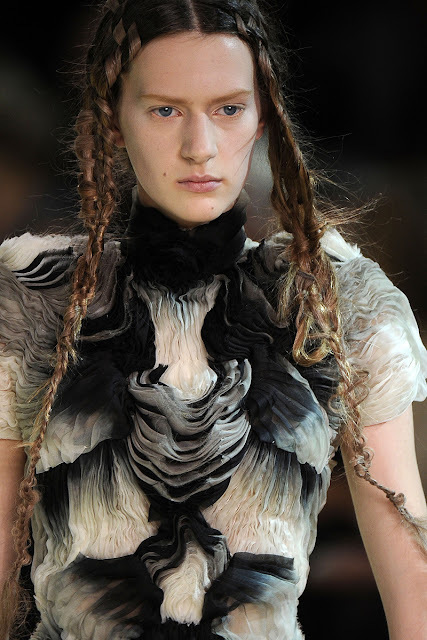 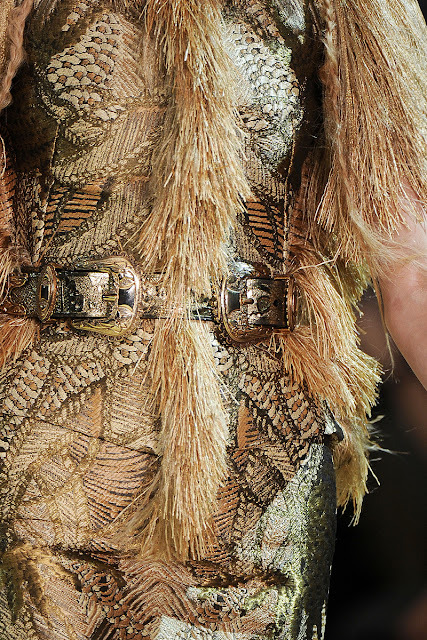 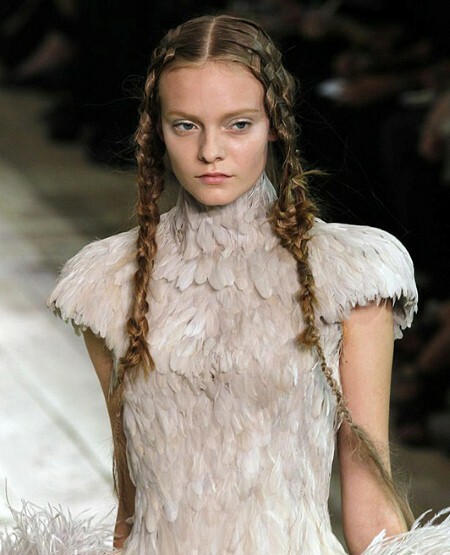 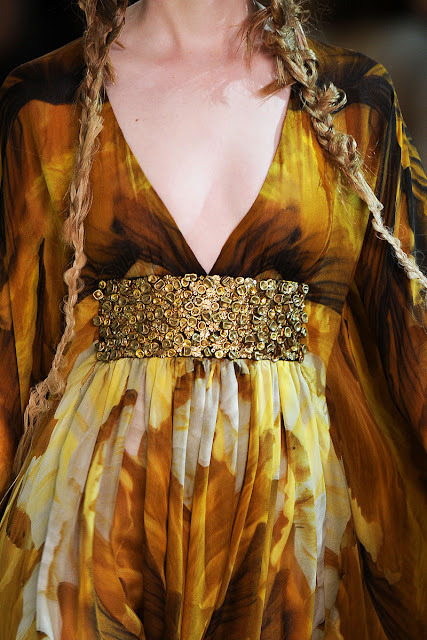 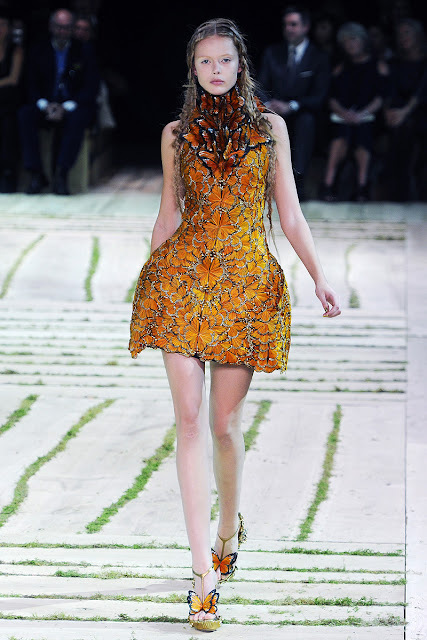 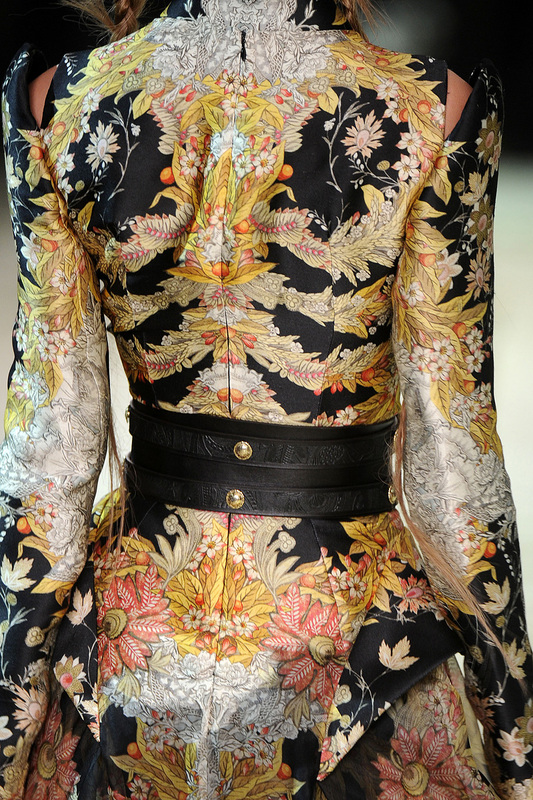 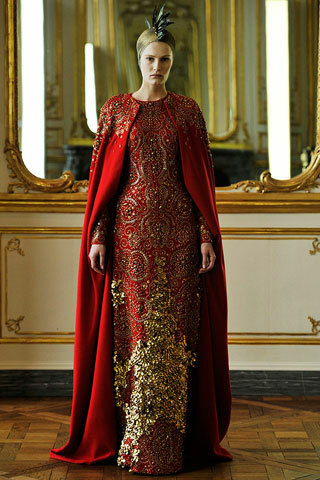 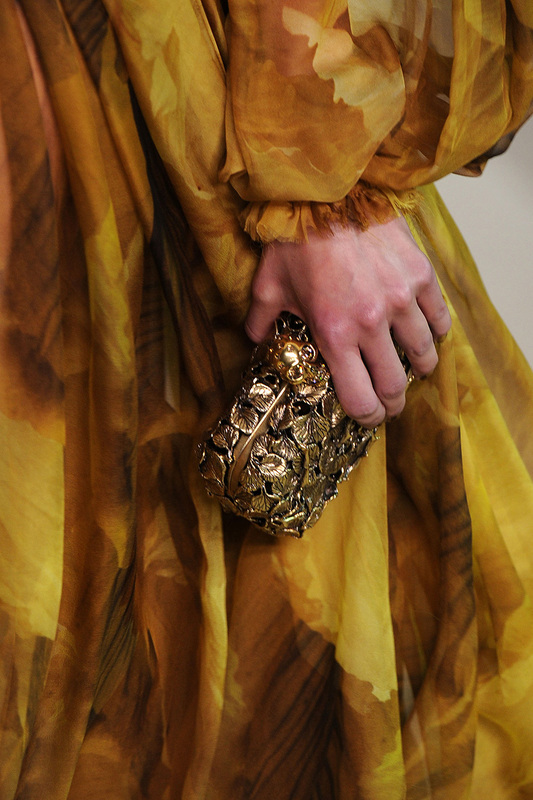 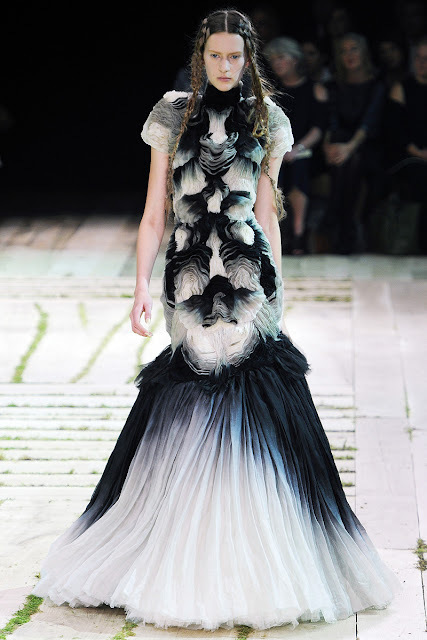 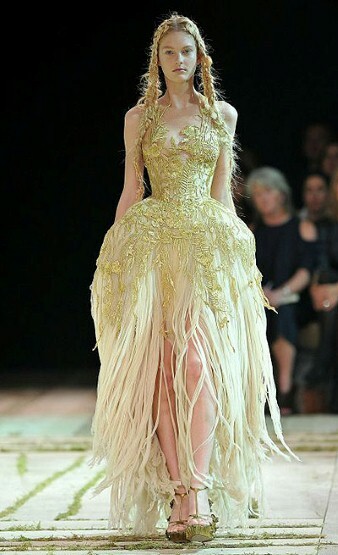 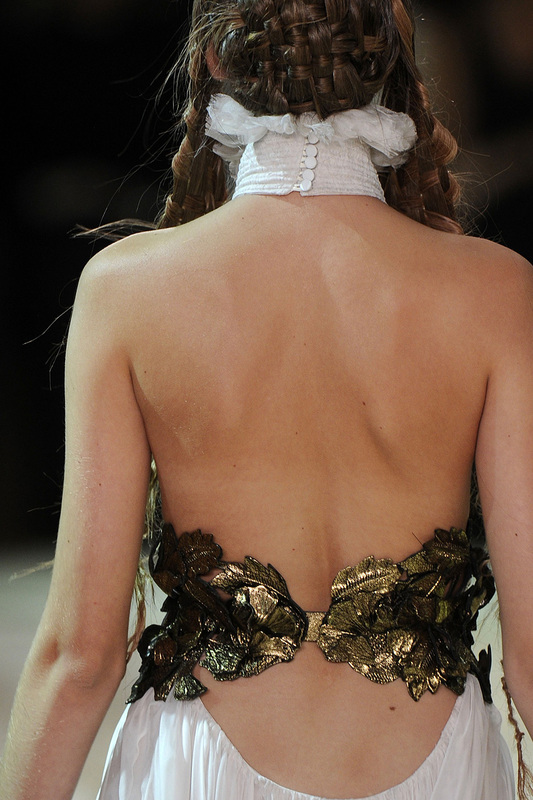 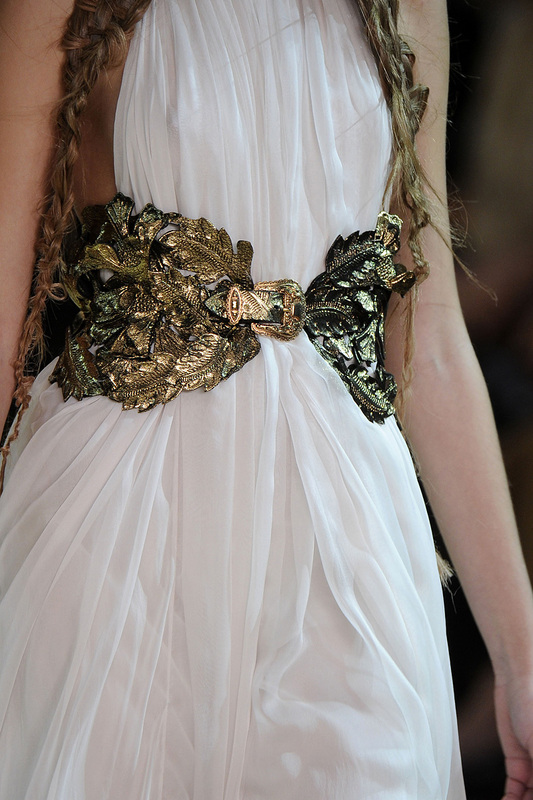 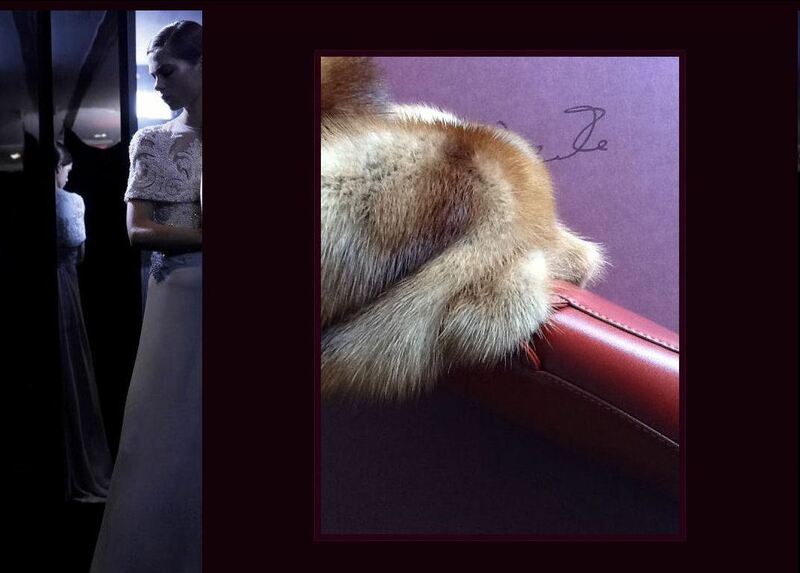 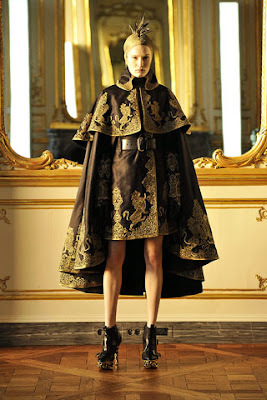 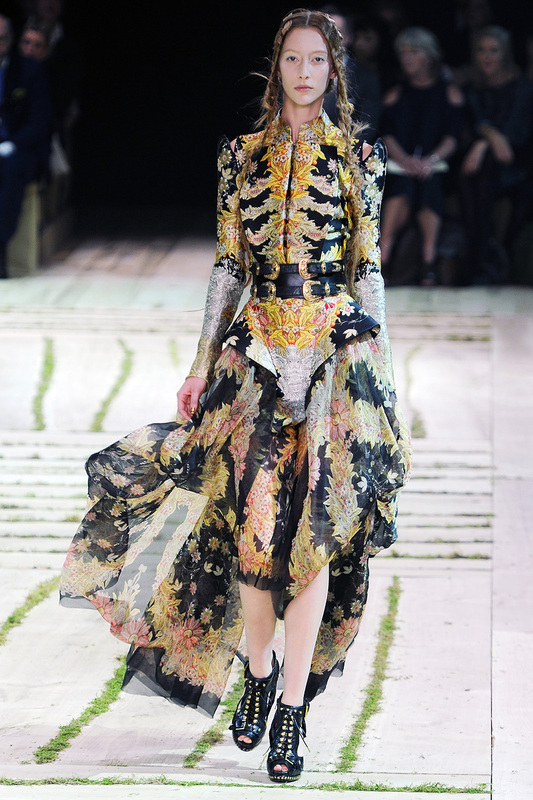 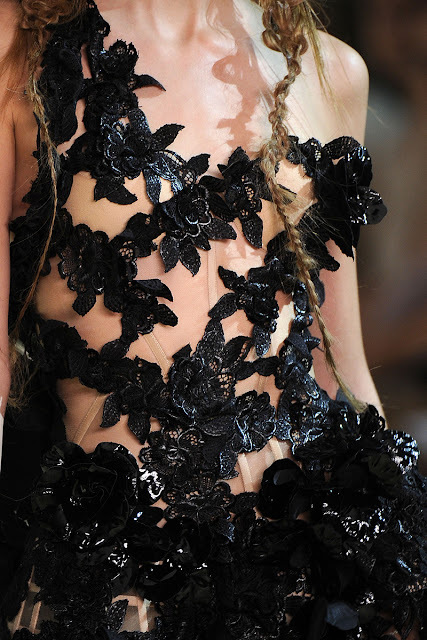 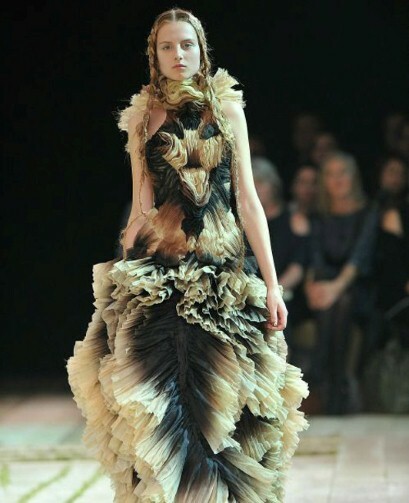 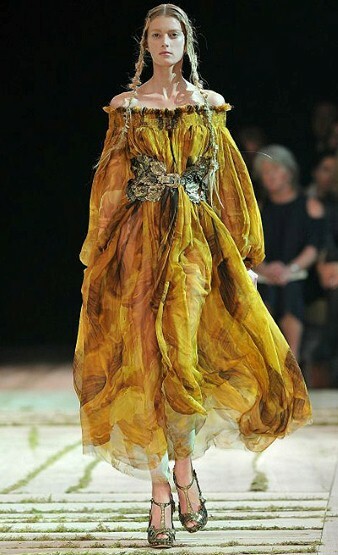 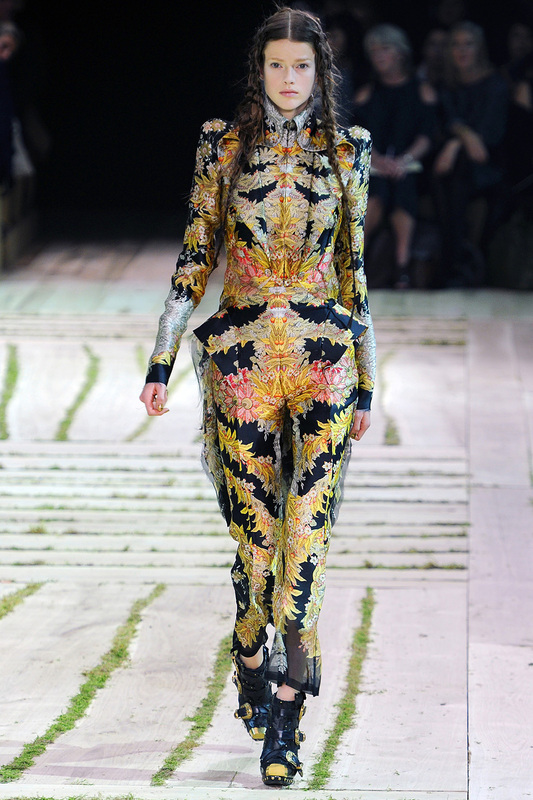 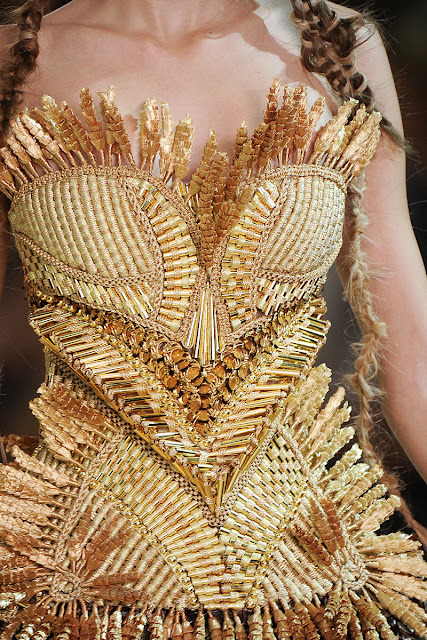 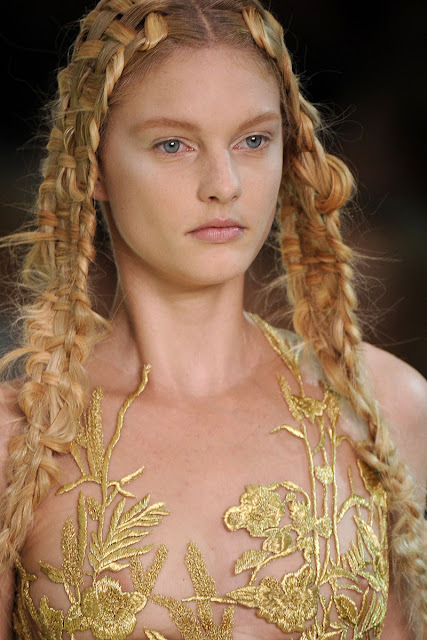 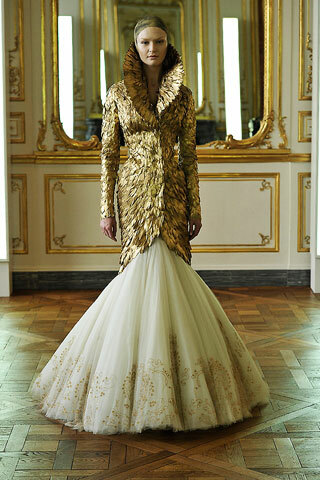 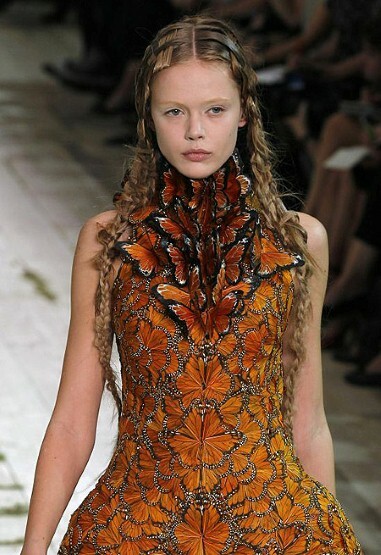 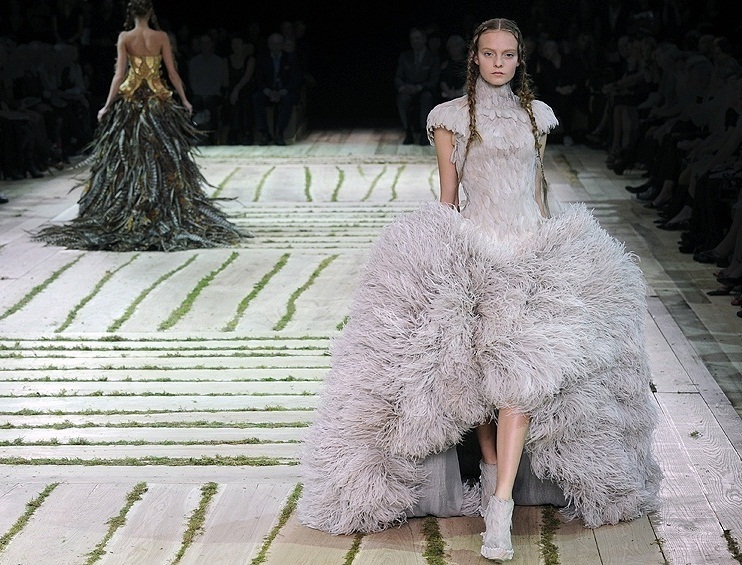 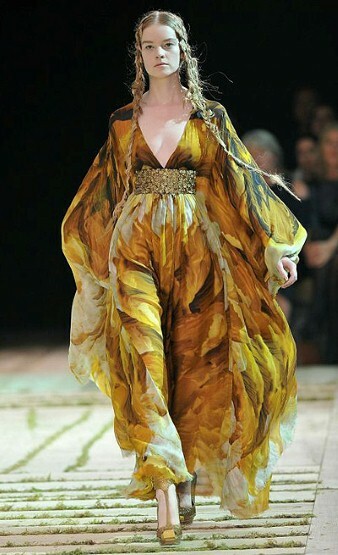 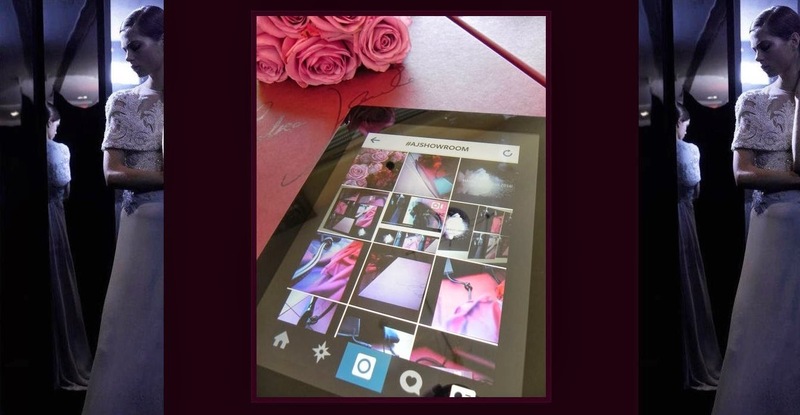 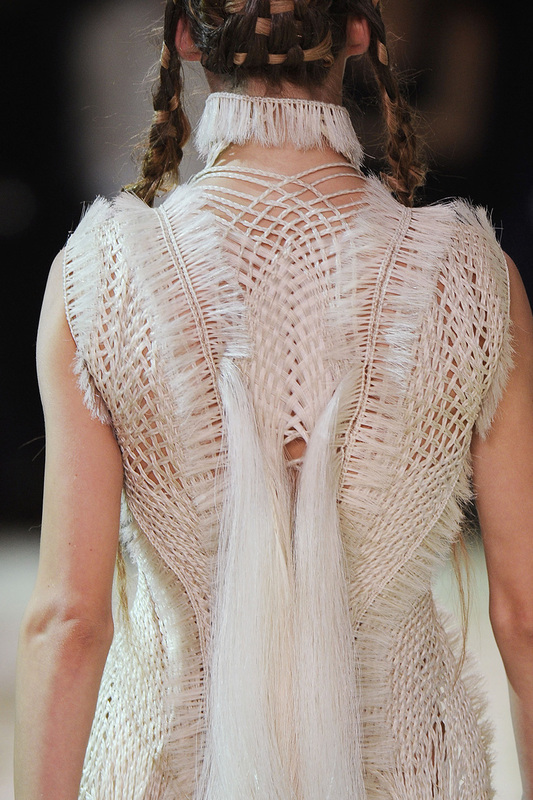 Sarah Burton, the new creative director of Alexander McQueen defined a brilliance! 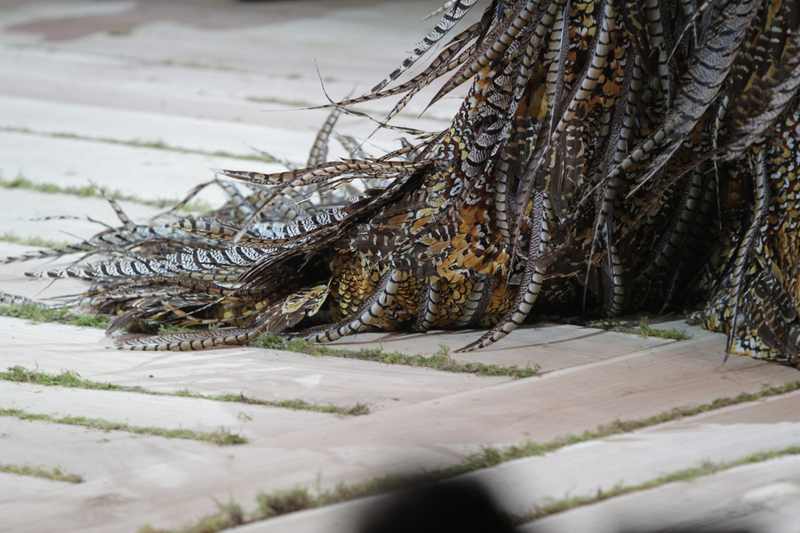 "... Sarah Burton, his right hand, described how, in beginning this collection, McQueen had turned away from the world of the Internet, which he had so powerfully harnessed in his last show. 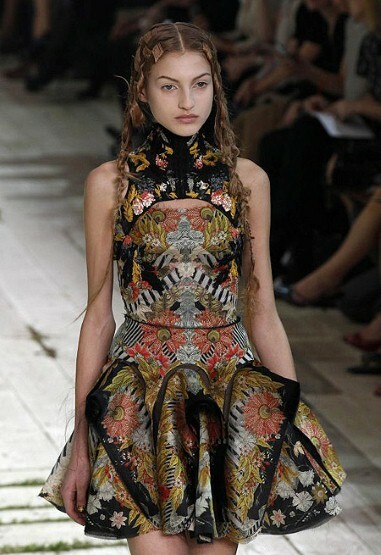 "He wanted to get back to the handcraft he loved, and the things that are being lost in the making fashion," she said. 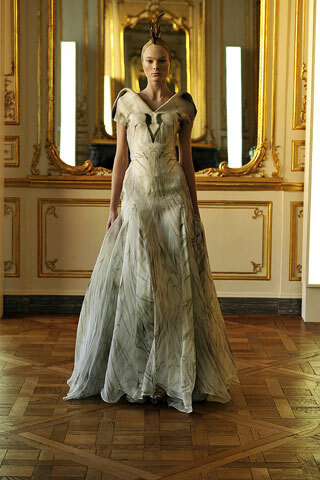 "He was looking at the art of the Dark Ages, but finding light and beauty in it. 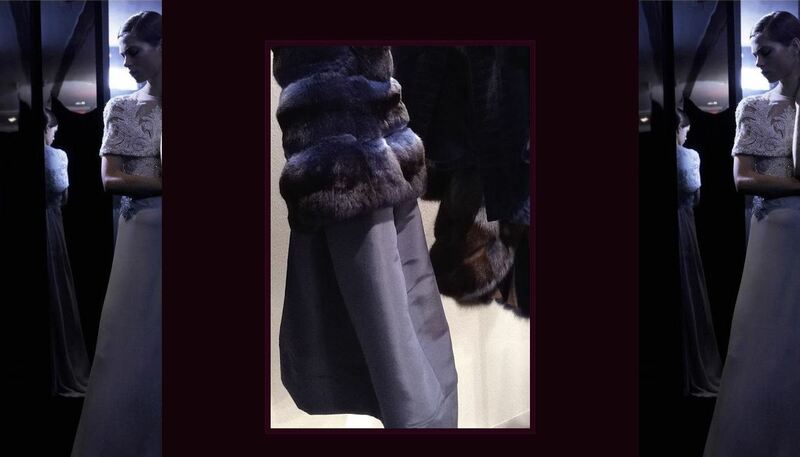 He was coming eveery day, draping and cutting pieces on the stand. 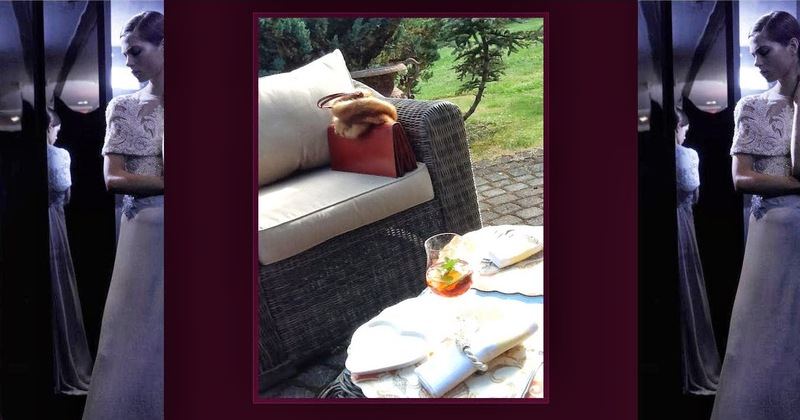 ..."
"... 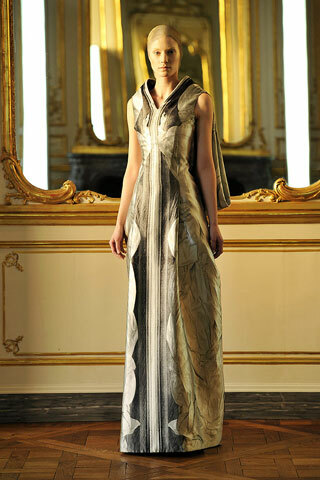 He had ordered fabric that translated digital photographs of paintings of high-church angels and Bosch demons into hand-loomed jacquards, then taken the materials and cut stately caped gowns and short draped dresses ... the fluted, attenuated lines of his long dresses suggested a calm and simplicity. 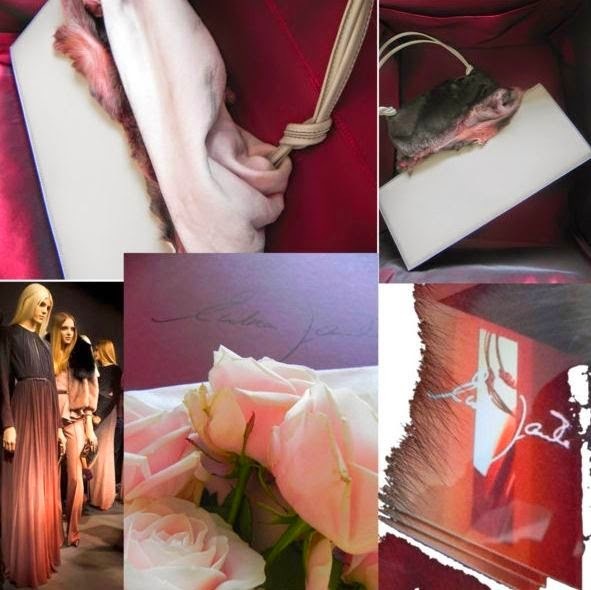 Instead of aggression, they transmitted the grace of the medieval Madonnas and Byzantine empresses McQueen had been studying." 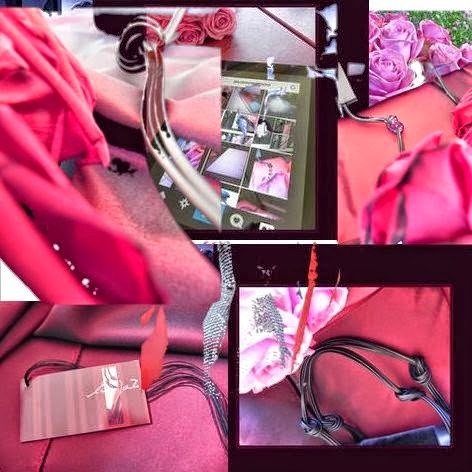 "... 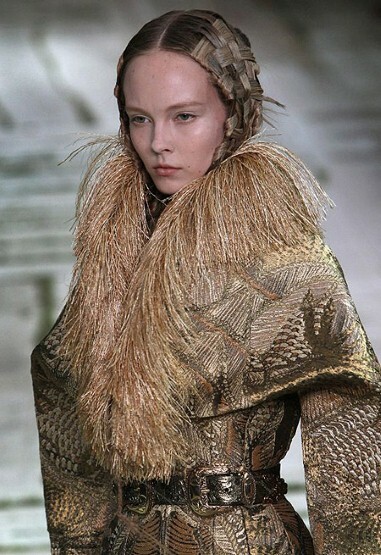 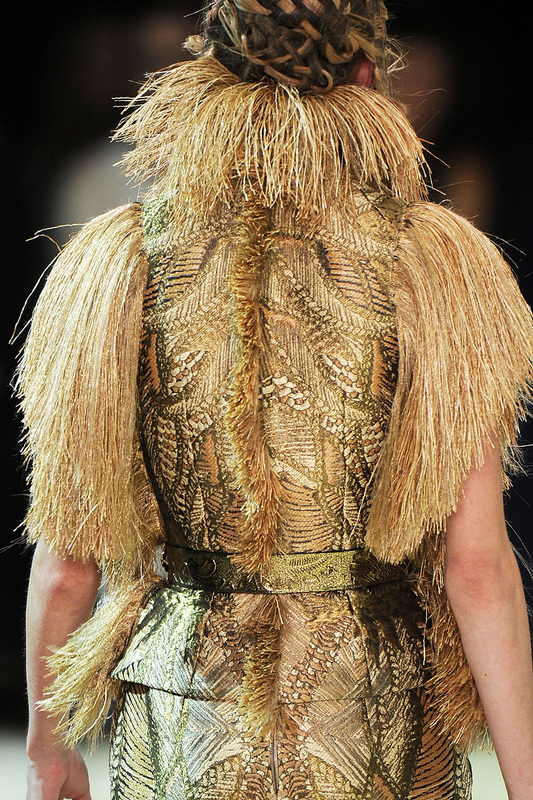 When a high-collard, formfitting cutaway jacket made entirely from golden feathers appeared, it read as a direct retrieval of McQueen's first step into haute couture in his Icarus collection, after he took the helm of Givenchy in 1996 at the age of 27. 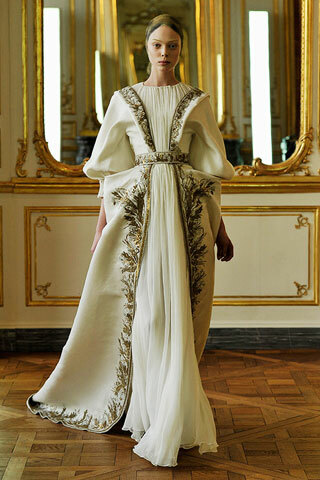 This time, though, it was realized with even more skill, with a multilayered white tulle skirt sprinkled at the hem with delicate gilded embroidery. 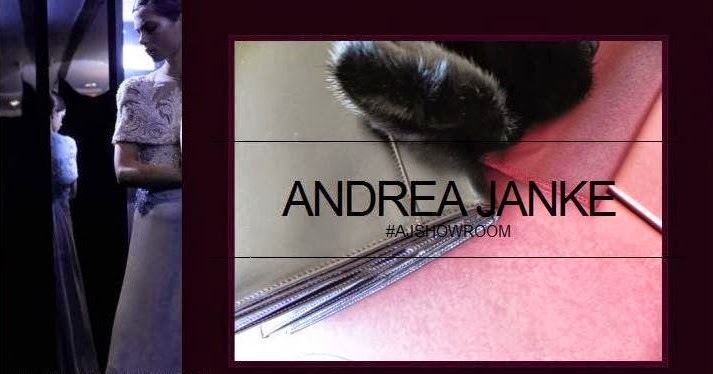 ..."